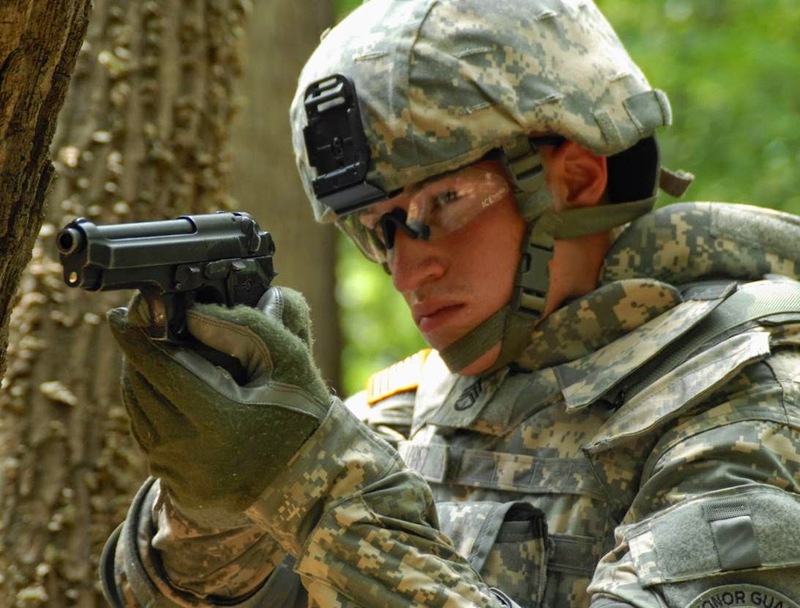 The U.S. Army is once again flirting around with the idea of replacing the Beretta M9 as the standard sidearm for all U.S. Military forces. From my understanding this is the third or fourth time the idea has been tossed around, but this time it looks like they may be serious about it. A meeting with industry manufacturer's reps was scheduled for late July 2014. The results are unknown but it was probably just a chance for various brands to submit their proposals for consideration. The next phase will likely be comprehensive testing of the actual firearms. The proposal for the new Modular Handgun System also seeks to replace the 9mm cartridge with a "more powerful" round. There a lot of people who are saying to just go back to a 1911 platform but it’s doubtful the Army will do this. They would be going back to a platform they deemed “obsolete” 30 years ago. Still a lot of Special Forces and Marine units continue to use the 1911 today because they feel it is still superior to the M9. Among possible contenders are Smith and Wesson M&P, Beretta 96A1, Sig Sauer P226 or P250, HK P2000, Glock G21, a Springfield XD variant in .45, and possibly an Offering from Colt similar to the Marine Corps M45 Close Quarter Battle System (AKA a tricked out 1911). 1. Performance Improvement: Request information on potential improvements in handgun performance in the areas of accuracy and dispersion out to 50m, terminal performance, modularity, reliability and durability in all environments. * The handgun and ammunition combination should, at a range of 50 meters, have a 90% or better probability of hit on a 4 inch circle when fired from a test fixture. It must maintain this throughout the life of the system. Systems are encouraged to utilize ergonomic and design improvements to minimize the effects of greater recoil energies, reducing the degradation of shooter-in-the-loop dispersion thereby improving the probability of hit. * The handgun ammunition's terminal ballistics will be evaluated at ranges of 0-50m, over 0-14 inches of ballistic gelatin, to determine whether it provides more lethality when compared to the current U.S. Military M882 ammunition fired from the M9. Ammunition evaluated will meet international law of war conventions that bound current general purpose military ammunition. The Pistol evaluated must be capable of chamber pressures equal to or greater than SAAMI specification for the given cartridge, with prolonged reliability equal to or greater than the current M9. However, the ability to accommodate higher chamber pressures in excess of 20% over SAAMI spec without degradation of reliability is of specific interest. * Reliability and Durability includes but is not limited to Mean Rounds between Stoppage (MRBS), Mean Rounds Between Failure (MRBF) and Service Life. There is specific interest in designs with ratings of at least 2,000 rounds MRBS, 10,000 rounds MRBF and 35,000 round Service Life. Of course everyone has a favorite pistol and they are going to think that it fits the bill perfectly. Let’s just hope the Army finds the next 1911 and not a repeat of the M9. You won’t find many people that will argue that the 1911 was one of the best weapons ever designed but the M9 proponents are few and far between. My opinion is they should give in and come on over to the Dark Side and get a Glock. As much as I love old battle weapons and classic designs, I cannot argue with the virtues and proven reliability of the polymer wonder gun. The FNX-45 has everything they say they are asking for. They should have stayed with the 1911. Why fix what was not Broken? I'll take the Sig P226 over the Beretta any day. The Sig only originally lost out to the Beretta because of cracks in the frame rails and slide failures after firing +12,000 rounds of hot ammo. Firearm metallurgy has come quite a ways since the 80s. 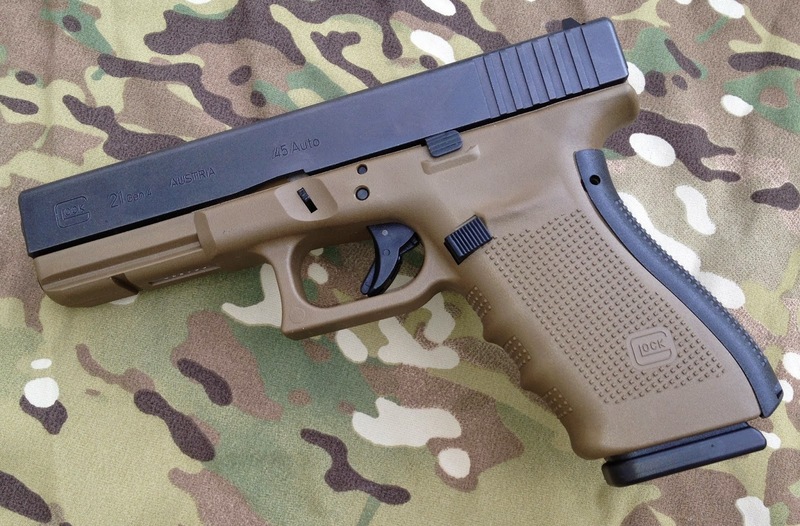 The Glock on the other hand has become synonymous with poorly trained police officers who need to spray 40 rounds to hit the target 3 times, none of which are immediately lethal. That said the reality of military existence under combat conditions dictates that you lighten your load as much as possible in order to extend operating time in the field. It's a simple equation, caring more weight uses more energy and more resources, the less gear a soldier has to carry on a daily basis, the longer their operational effectiveness. That makes the Glock the first choice of the guy who has to hump all day with 70 pounds of gear on his back. A powerful argument in an age when soldiers and Marines are already ridiculously overloaded when they fight. We're not going to see a return to .45 caliber, that has about as much chance of happening as us going back to Vietnam. And much as I'm a fan of throwing a big rock and making a big mess, speed and accuracy continue to take precedent in combat situations. And fun as the 1911 and other modern 45s may be for lobbing em in at a distance, I always preferred the Browning hi power anyway, because I can hit when I am at. I don't see things changing, because the military likes to go with what it knows. There are better options then the AR as well, like the Israeli TAVOR, but I don't see that changing either. The manufactures of the early M-16 got the contracts back in the 60s because they weighed 5 pounds, were fast and had high firepower. After all this time perfecting a designed that had some real flaws initially but has come along way, highly unlikely that the US military would go in a different direction now. Also it's hard to argue against the fact that it was a weapon ahead of its time that has grown to preeminence in the 21st-century, the Kalashnikov aside. Most of those arguments and attributes are applicable to the Glock as well, But I think most soldiers end up stuck with Berettas.